Find out if your smile goals align with what this cosmetic restoration could offer you. Are you ready to revamp your smile but not quite sure how? Have you been reading up on cosmetic dental procedures and wondered whether dental veneers could give you the new smile you want? Our Waunakee, WI, dentists Dr. Matthew Karls and Dr. Stanley Karls are here to tell you more about dental veneers so you can make an informed decision about your smile. Dental veneers are made from high-quality porcelain and are bonded to the front of your teeth to improve the look of your smile. If you are someone who is dealing with certain imperfections that can’t be fixed with teeth whitening, dental bonding or tooth recontouring then you’re in luck. 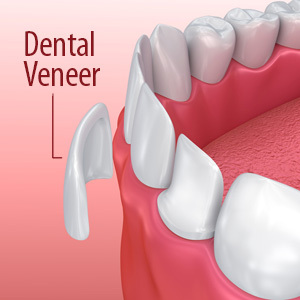 Dental veneers may be able to help you. What cosmetic issues can dental veneers improve? Whether you want to fix minor misalignments that keep you from that straighter smile or you want to change the overall shape, size or color of your teeth to get a more even, symmetrical look then porcelain veneers may be the best option for you. 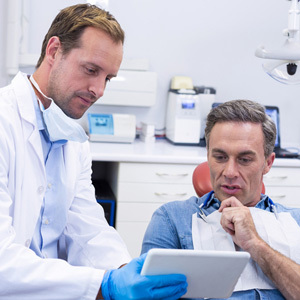 In order to get traditional dental veneers, we will need to prep your teeth beforehand to make sure they are ready to support your new restorations. You’ll first come in for a consultation so that we can make sure you are a good candidate for treatment. Then, some enamel is shaved off the front of your teeth to make room for your veneers. While this might sound painful, it’s not. We only have to remove a very small amount of enamel so you won’t feel anything. Once the teeth have been prepped we will take impressions of your teeth. A dental lab will use these impressions to fabricate your veneers. Once your veneers have been created you will come in so that we can fit you with your new restorations and bond them to your teeth permanently. Do dental veneers sound like the cosmetic dentistry you’ve been looking for in Waunakee, WI? If so, then it’s time you turned to the dental team at Karls Family Dentistry to help you get the smile you’ve been dreaming about. Schedule a consultation with us today.